Nope, totally not true. Baked oatmeal is the best. It’s way better than normal oatmeal in my opinion, both in texture and taste. And there are endless flavor combinations to try once you get the basic technique down. Another great perk? You can bake a whole pan, and have breakfast for a week. Huge time saver. And it’s (probably) healthier than pancakes what with the oats and all. It also makes your house smell amazing. So let’s recap: tasty, easy, more time to sleep in the mornings, and built in air freshener? Why would you ever eat anything else? 1. Preheat your oven to 375 degrees. Spray a 10 x 7 (or 9 x 13) baking dish with nonstick spray. 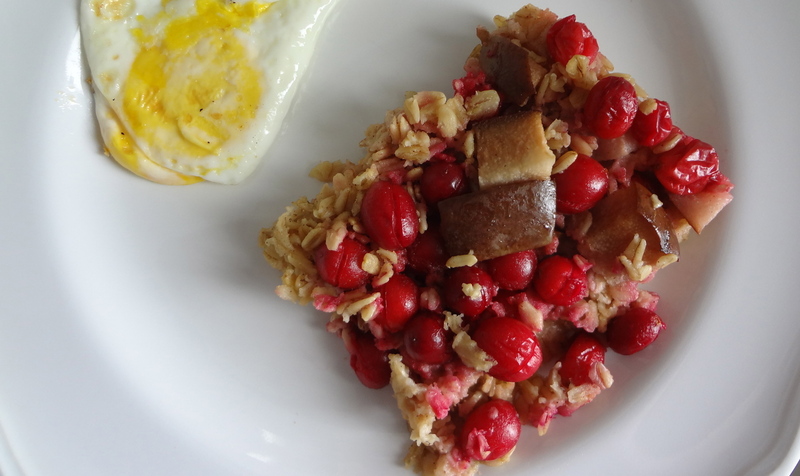 The size of the dish affects the thickness of the baked oatmeal, but doesn’t mess with consistency at all. 2. In a large bowl, combine the oats, sugar, baking powder, salt and cinnamon. Stir well to combine. 3. In a separate bowl, combine the egg, milk, coconut oil and vanilla extract, mixing well. Add the wet ingredients to the dry ingredients, then pour the whole thing in the baking dish. 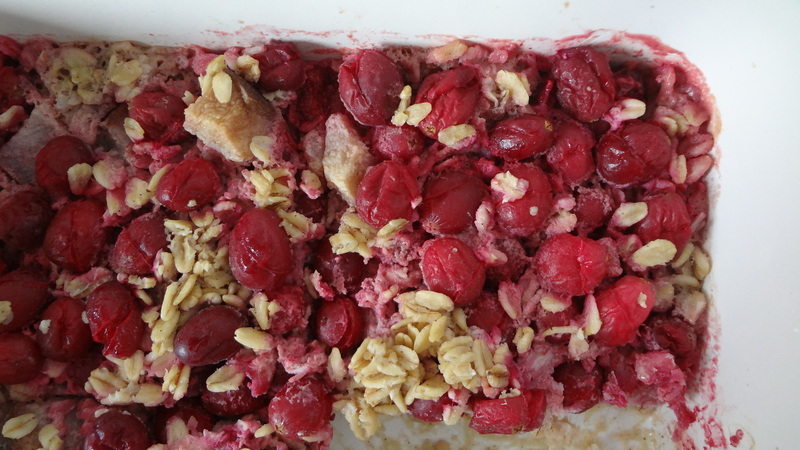 Fold in your cranberries and pears and bake for 25 to 30 minutes, or until the oats are just set.